Evoking the stillness of a winter night lit only by street lamps, this linen is modern and sleek. Its silver lines ripple into diamond patterns that surge across the crisp, white linen. 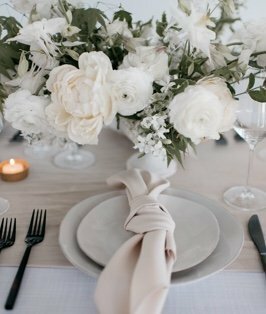 Porcelain Nordic creates the perfect accent for any event, and it inspires guests to find comfort in life’s simple pleasures.